Are Diesel Powered Generators the Best Choice? How Do I Know What Size Generator I Will Need? 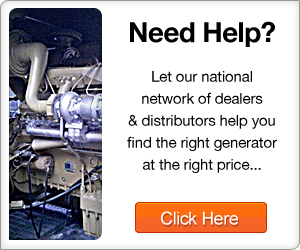 Industrial Generators is the premier marketplace for buying and selling used generators from top manufacturers. Looking for a generator? Browse our listings to the right or use our categories. Do you have generators you want to list? Great! Learn how you can open a free account or get access to our premium membership package.